Triboelectric generators developed by researchers at Georgia Tech capture wasted power; a Princeton-led research team says the coexistence of opposing phenomena may be the key to understanding how certain materials actually work. In order to produce small amounts of electricity for portable devices and sensors, Georgia Tech researchers are developing a family of power generators that take advantage of the triboelectric effect. The researchers are using what’s technically known as the triboelectric effect to create surprising amounts of electric power by rubbing or touching two different materials together. 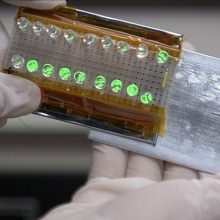 They believe the discovery can provide a new way to power mobile devices such as sensors and smartphones by capturing the otherwise wasted mechanical energy from such sources as walking, the wind blowing, vibration, ocean waves or even cars driving by. Beyond generating power, the technology could also provide a new type of self-powered sensor, allowing detection of vibrations, motion, water leaks, explosions – or even rain falling. The triboelectric generator uses two sheets of dissimilar materials, one an electron donor, the other an electron acceptor. When the materials are in contact, electrons flow from one material to the other. If the sheets are then separated, one sheet holds an electrical charge isolated by the gap between them. If an electrical load is then connected to two electrodes placed at the outer edges of the two surfaces, a small current will flow to equalize the charges. The coexistence of two opposing phenomena might be the secret to understanding the enduring mystery in physics of how materials heralded as the future of powering our homes and communities actually work, according to Princeton University-led research. This knowledge could help encourage further development of high-efficiency electric-power delivery. 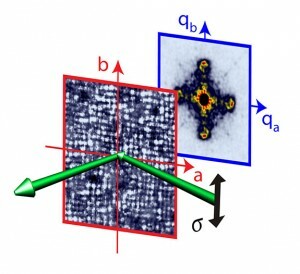 The researchers said these findings give a substantial clue for unraveling the inner workings of high-temperature superconductors (HTS) based on compounds containing copper and oxygen, or copper oxides. Copper-oxide high-temperature superconductors are prized as a material for making power lines because of their ability to conduct electricity with no resistance. It’s been shown that the material can be used to deliver electrical power like ordinary transmission lines, but with no loss of energy. In addition, typical superconductors need extremely low temperatures of roughly -243 degrees Celsius (-405 degrees Fahrenheit) to exhibit this 100-percent efficiency. A copper oxide HTS, however, can reach this level of efficiency at a comparatively toasty -135 degrees Celsius (-211 degrees Fahrenheit), which is achievable using liquid nitrogen.